The box a Glass arrives in is pretty impressive in and of itself—it reminded me more of Apple packaging for iPads than of typical Android products (top right). A little card underneath the Glass holder tells you that you are special for spending so much money (middle right). There are really very few operating instructions included. Printed on the inside of the package cover are three steps that tell you how to turn Glass on (it took a while to locate this button), adjust the nose bridge, and position the display. That’s it—there’s nothing about what to do after it boots up (that takes about a minute). That’s when it shows the “ok glass” home screen in the upper right portion of your field of vision on a 640×360 display. There are more instructions on how to clean and use the Glass carrying pouch made from recycled “Japanese micro-fiber” materials than there are on operating the system. Once the home screen is displayed, you can communicate to Glass either by voice commands or by tapping on the right-temple Glass frame. A single tap is roughly equivalent to a left mouse click, and you ascend/descend through screens by swiping your index finger forward or backward respectively on the temple frame. A swipe downwards bails you out of the current screen or operation. There are also two-finger swipe motions, and even what is called a “hook” motion: swiping forward and then back in a continuous touch. Although nearly all operations can be voice-actuated, I found that touch gestures were more convenient (and less obtrusive). • display calendar events that are stored. Tethered via Bluetooth to an Android or iOS smartphone and using the free MyGlass app, you can transfer data and access additional functionality such as making calls, voice-actuated text messaging, and screencasting (broadcasting your real-time screen display over the internet). Although using Glass’s floating display above your right eye’s normal field of vision takes some getting used to, most of us were schooled in the “keep both eyes open” method of using optical-use survey instruments. If you try to use Glass by closing your left eye, all you’ll get from the experience is a splitting headache after a few minutes. Like working a survey gun using both eyes, your brain eventually learns to tune out irrelevant information from the non-dominant eye. In the process, your view is actually sharpened—especially when you’re on the street and can detect that inattentive motorist closing in on you. Most of my experimentation with Glass has been in private; that is, I haven’t worn it in public much at all. For one thing, I’m averse to calling attention to myself, and Glass definitely screams out that you’re different. I wore the Glass briefly during the Esri Developer Summit plenary session in March to take pictures of various presentation screens, but it caused too much distracting buzz among my seatmates and I finally took it off. Techies take notice of it more readily than ordinary folks, I have found. As advised in the Glass online help, it is really more suited to “micro interactions”: brief glances to augment your current need for information rather than reading involved webpages or viewing videos. Its relatively short current battery life (2-4 hours) puts a real emphasis on the term “micro,” as well. Given all that, what use could it be to surveyors when the price eventually drops for Glass’s consumer version? For geospatial professionals today, Glass can take hands-free pictures and videos, tagged with WGS84 lat-long positioning data, as well as spoken annotation. Multiple field crew members could take voice-annotated pictures while operating their individual functions, providing a “360” data-collection effort. • have real-time locations of all onsite personnel available to all other crew members and a central safety monitoring facility. My specific interest is to research Glass’s augmented reality capabilities, such as displaying attribute data over a Glass’s camera view (at left). Having an always-on map view of objects on a project site would be very useful in our everyday work as authoritative data collectors. Of course, the GPS positioning available through a smartphone tether isn’t nearly good enough on its own to align the imagery to object coordinates downloaded from a GIS database. The real challenge, until RTK decimeter-level accuracy is available on smartphones or wearable devices like Glass, is to transform the image view via known picture points … or at least that’s a current approach. By the time it gets perfected, centimeter-level accuracy on $99 smartphones will probably be available. At its current price and level of functionality (not to mention battery life), Google Glass is unusable for practical field use. As the program name suggests, Google is engaging “Explorers” who can help test and refine the product for commercial use. It may in fact not be released in anything resembling its current configuration. 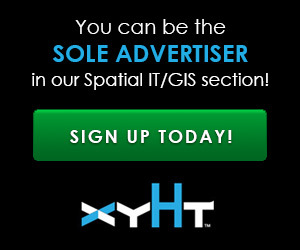 However, wearable xyHt devices will eventually become just another tool in a surveyor’s portfolio. Postscript: A recent release of the Glass operating system (called XE versions, for eXplorer Editions) rendered many Glass devices, mine included, impossible to subsequently boot up. In line with their premium price, Google replaced all the affected devices with new Glass systems. They even offered a new choice of colors and titanium frames that can be fitted with prescription lenses. It was sort of like car recall campaigns, only you get a brand-new car in your choice of appointments. Luxury has its perks.